Legacies on the line, history on the line, these NHL playoffs are as juicy as ever with dream matchups on both sides of the bracket. Ovechkin is on a mission to prove his doubters wrong after overcoming a rival. The Lighting have been on the cusp for seemingly ever, and the Jets and the Golden Knights are looking for their first rings as well. I missed some last round but I’m feeling more correct this round! The Lightning dispatched a tired Bruins team quickly and awaited to see the Penguins. That is until the Caps finally re-wrote the story and won a close OT game 6 to get that Penguin off their back and make it to the Conference Finals for the first time since the late 90s. This was possibly the most electric matchup the East could have asked for. Nicklas Backstrom, Tom Wilson, and Andre Burakovsky were big names missing from the Caps’ lineup in a crucial game 6. Ghost of years past would lead many to believe the Caps could find a way to screw this series up but alas, they finally have reached the conference finals due to a gritty attitude that goes all through their rookies and their captain Ovechkin. Holtby played well in the series and the Caps didn’t need a game 7 to finally dispatch the defending champs. After an embarrassing loss in Tampa in game one, the Lightning righted the ship and outside of game 4, dominated the Bruins on both sides of the puck this series. The offense proved again too much for Boston. After scoring 18 goals in round 1 of the playoffs, the Lightning scored another 17 goals this round averaging 3.5 goals per game! Many years before I’ve said, “This Capitals team seems different” and many, many times I have been wrong. However, this year is a whole new beast with Ovechkin finally overcoming his longtime rival Crosby specifically to advance. I was wrong about the Caps last round, and hopefully they don’t crater now that I’m on the bandwagon. The Lightning I believe are better than the Penguins offensively as far as consistency goes and it will be a challenge to score on, but I’ll take Washington to advance to the Stanley Cup. The new kids on the ice are hoping to accomplish something never done before and they are making it look easy. 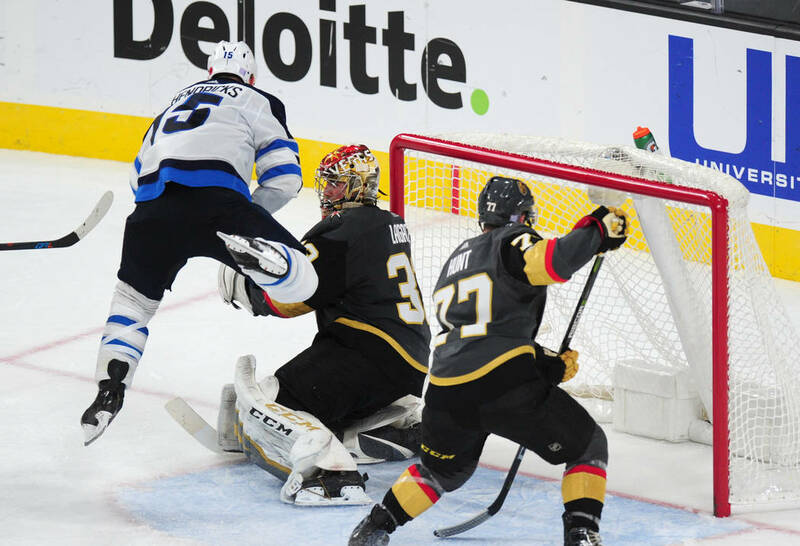 The Golden Knights have already accomplished more than any other expansion team ever by making it to the Conference finals, but the Jets also are making their first Conference Finals appearance, and look to stand in the way. Let’s look at the tale of the tape for this intriguing, unexpected series. Just as I predicted, the Golden Knights were the more talented team and outmatched the Sharks convincingly in the series by kicking open the door with a 7-0 win in game one. The series did go back and forth with two OT games and the Sharks not rolling over to the expansion team. However, the Knights were dramatically faster, smarter, and better than the Sharks and ultimately are supposed to be in the Conference Finals. The Jets had a rough draw going against Nashville in the second round. The series went back and forth all the way to a convincing game 7 win in Nashville. The Jets took advantage of a sometimes sleeping Preds defense when they won, and couldn’t breathe against the Predators’ defense when they lost. They stuck around and overcame the defending Western Conference champs. Mark Scheifele leads all players in the NHL playoffs with 11 goals in 12(!) games for the Jets being effective both at home, and on the road. The Jets’ offense has been red-hot but unfortunately are running into the hottest goalie in the game right now in Marc Andre-Fleury. Marc runs a .951 save percentage (best in playoffs) against experienced teams and the Golden Knights’ speed will overrun the Jets’ defense. Previous article Shaq Back At It Again… GOOGLE ME ? Shaq Back At It Again… GOOGLE ME ?